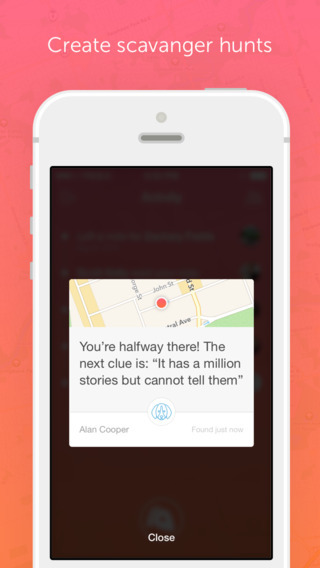 Knit is an app by Treble that allows users to leave hidden location-based messages for friends to find. Whenever a user arrives at a location with a hidden note from one of their friends, it is presented to them. 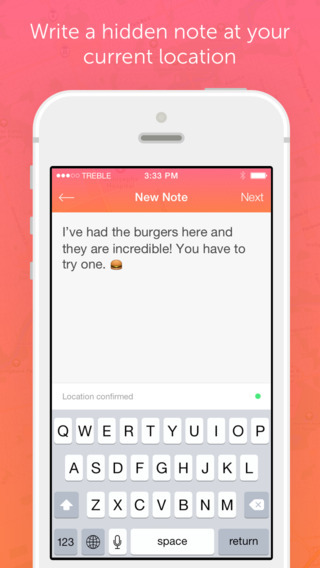 Users can choose which friends receive which notes. 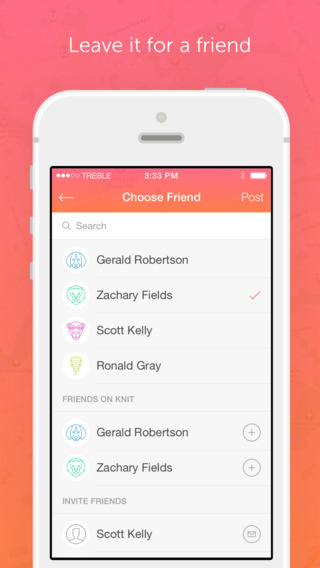 Knit is currently available on iOS.